Trust informs supervision decisions in medical training. Factors that influence trust differ depending on learners’ and supervisors’ level. Research has focused on resident trainees; questions exist about how medical students experience entrustment. 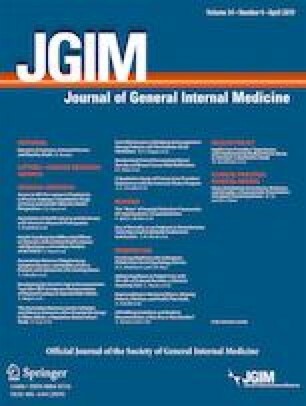 This study examines how clerkship students perceive supervisors’ trust in them and its impact on their learning. Qualitative study using individual semi-structured interviews. Clerkship medical students at the University of California, San Francisco. We invited 30 core clerkship students to participate in interviews (October 2017 to February 2018) eliciting examples of appropriate, over-, and under-trust. We coded and analyzed transcripts using thematic analysis. Sixteen (53%) students participated. Three major themes arose: trust as scaffolding for learning, effects of trust on the learning environment, and consequences of trust for patients. Appropriate trust usually involved coaching and close guidance, often with more junior supervisors (interns or residents). These situations fostered students’ motivation to learn, sense of value on the team, and perceived benefits to patients. Over-trust was characterized by task assignment without clear instruction, supervision, or feedback. Over-trust prompted student anxiety and stress, and concerns for potential patient harm. Under-trust was characterized by lack of clarity about the student role, leading to frustration and discontent, with unclear impact on patients. Students attributed inappropriate trust to contextual and supervisor factors and did not feel empowered to intervene due to concerns about performance evaluations and hierarchy. As early learners in the clinical workplace, students frame trust as entailing high levels of support. It is important for medical educators to consider ways to train resident and faculty supervisors to enact trust and supervision for students differently than for residents. Structures that encourage students and supervisors to discuss trust and supervision in a transparent way can enhance learning. Preliminary findings from this study were presented as a poster at the Western Group on Educational Affairs Spring Conference, “Teaching the Physician of the Future,” in Denver, CO, in March 2018. The online version of this article ( https://doi.org/10.1007/s11606-019-04883-1) contains supplementary material, which is available to authorized users. Miscellaneous department funds were used to support study costs, including transcription services, gift card purchases, and printing fees. The UCSF Institutional Review Board deemed this study exempt. Trust. In: Merriam-Webster Online. Available at: https://www.merriam-webster.com/dictionary/trust. Accessed October 17, 2018. Association of American Medical Colleges. Core Entrustable Professional Activities for Entering Residency (Updated). Available at: https://icollaborative.aamc.org/resource/887. Accessed 17 Oct 2018. Liaison Committee on Medical Education. Standards, Publications, and Notification Forms. Available at: http://lcme.org/publications/. Accessed 17 Oct 2018.